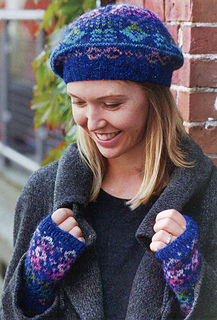 This lovely tam makes use of a technique sometimes called “Faux Isle”: instead of using small amounts of many contrasting colors to create the pattern, a single colorway of self-striping yarn is used. It’s more economical and saves you the trouble of weaving in all those ends! 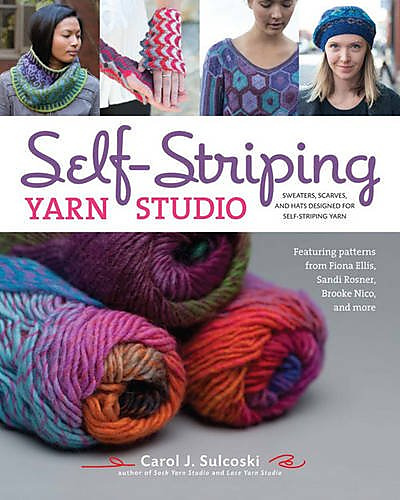 Make sure you select a solid that is a different color from all of the colors used in the striper for maximum contrast.